The statistics are not just alarming. They're downright ugly. An estimated 8 percent of teachers leave American classrooms within the first year, and even worse, 40 to 50 percent leave by their fifth year. It's not surprising, really. Truth is, we've made it too easy for them. We cast our newest teachers into the most challenging classrooms and expect them to 'sink or swim.' At the same time, teaching today demands a greater depth of knowledge and preparation than ever before. Even with a traditional university background, teaching, in many ways, is like learning to use a set of specialized tools, but the tools and techniques elude us at first. In fact, learning to teach reminds me in many ways of learning to golf. Like golf, teaching is a lot harder than it looks. 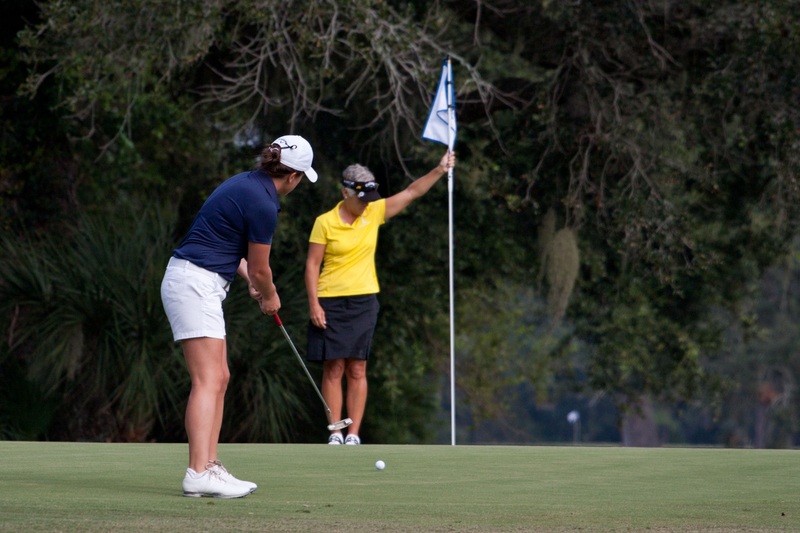 Golf involves a complex set of skills that are difficult to master and execute at just the right times. When I first started golfing, I was drawn to the beautiful courses and challenge of mastering the game. I had learned to swing a club, but I really didn't know anything about the nuances of the game. Like learning to golf, when teachers first begin, they also struggle to master complex skills. Most enter the classroom with a basic understanding of pedagogy but very little practical experience. They are drawn to the seemingly green, lush fairways of teaching, but very soon they realize teaching is no easy game. The course each week is so different, with unexpected obstacles and some pretty difficult approaches. Giving mulligans for hard shots sends the wrong message. In my first few seasons of golf, my husband always had a few tips to offer, but he was never overly concerned with my poor performance. Whenever I was faced with a really challenging shot, he gave me a mulligan. I was saved nearly every time— which made me enjoy golfing at first. He kept insisting golf was hard, and I would get the hang of it at some point. We give new teachers that same allowance, knowing that teaching is difficult and it is typical to struggle at first. When we find them in the rough, we pat them on the back, tell them not to sweat the small stuff, and encourage them to stay with it. In a way, we give new teachers mulligans all the time. And yet, our lack of personalized feedback may be sending the message that we don't expect excellence yet. We are just glad they are filling that spot on the roster. Without meaningful feedback, new teachers struggle needlessly. By my third year on the golf course, I began to realize I didn't like that I had never really learned how to perform the toughest shots. When I did try to figure out an approach on my own, I found myself swinging entirely too hard. I rarely got the outcome I wanted. When our newest teachers struggle, we may suggest they find an online video that demonstrates good practice, but we don't take the time often enough to personally film our new teachers and review the footage with them, pointing out those parts of their 'swings' that need to be adjusted. By not closely coaching our newest teachers, we send the message that we are comfortable giving them a mulligan for the hard shots, and that we may expect them to just figure it out on their own. We lose some of our best players too early. I finally realized I wasn't very skilled at golf, and given the time and investment required for the game, I was left uninspired. I quit golfing because I never found a deep satisfaction in the game. There were, it seemed, just too many skills involved in hitting a sweet shot every time and scoring well. As our newest teachers struggle, we lose many prospective master teachers before they reach their fourth season. They become uninspired by the length of time it takes to develop and fine tune instructional skills and confidence with classroom management. Add to that compensation that doesn't match the investment of education and time, and many novice teachers willingly quit the game. Coaching will keep many in the game. Ultimately, I did return to the game of golf. I hired a golf pro to analyze my swing and teach me how to read each shot. I was embarrassed at first, but he was empathetic to my awkwardness. The one-on-one coaching I received by a professional was invaluable, and I found myself golfing with greater confidence and success. I wouldn't take mulligans anymore. I didn't want them. And ultimately, I didn't need them. I challenge every veteran teacher or administrator to ask themselves, what am I doing to closely coach and motivate the newest teachers in our school? How often do I give authentic feedback focused on specific instructional skills? Are there opportunities for these teachers to be filmed by an instructional coach who is trained to point out the subtleties of great instruction? How does my leadership inspire excellence in these teachers? What can I do this school year to motivate these teachers and help them begin what could be sustainable careers? If we want to reduce the disheartening numbers of teachers leaving the profession, we must offer comprehensive coaching for their skill development and ability to read the toughest shots in teaching. Our students deserve an effective teacher in every classroom, but giving mulligans for mediocre performance will not inspire nor retain new teachers.